I originally made it as an add to penne pasta for a quick weeknight dinner (a big hit and a must try!) but it wasn’t enough. 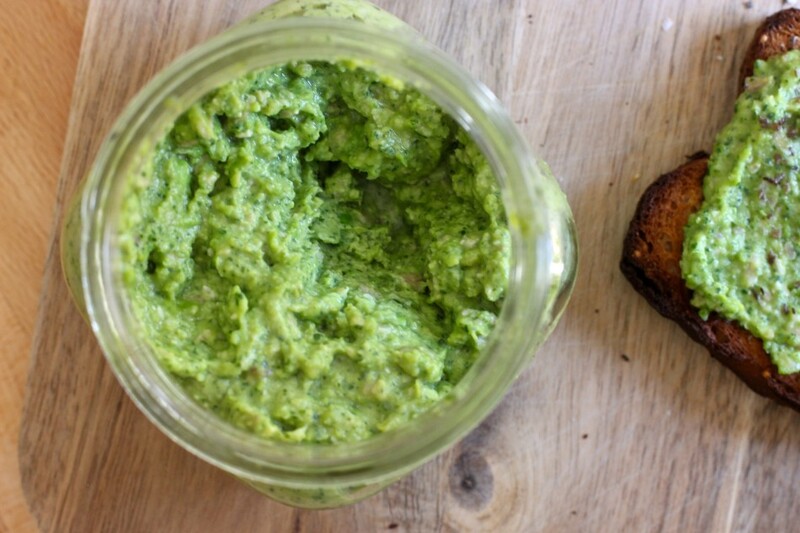 We were all so struck by this new mash-up of a pesto that I made another batch that night to shmear on toast – instead of the usual avocado – the next morning and then, all week long. Aside from being a satisfying dinner, I love that it’s quick enough for school day breakfasts (aka crazy school morning rush) too. 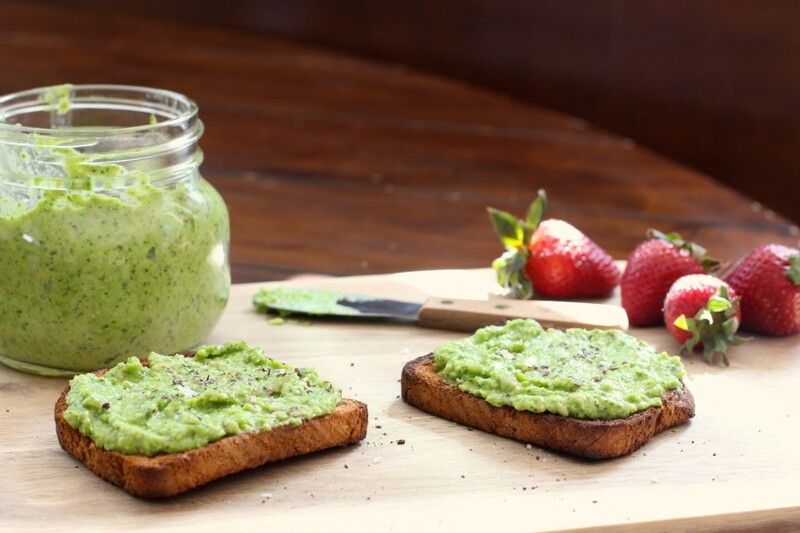 I normally wouldn’t suggest shmearing ‘pesto’ on toast, but you guys, this is not your typical pesto – the peas and mint lighten things up; the garlic (do not be afraid!) flavors the pesto without imparting the pungency garlic is known for. It works. Trust me on this. …gosh, this stuff makes everything GOOD. In case you were wondering about the very dark toast pictured, that’s mine (aka Mom’s ridiculously burnt toast) full of a whole lot of crispy crunch love just the way I like it. Since nobody else here in the house was patient enough for me to take a few photos of their normal toasted bread you got stuck with mine. 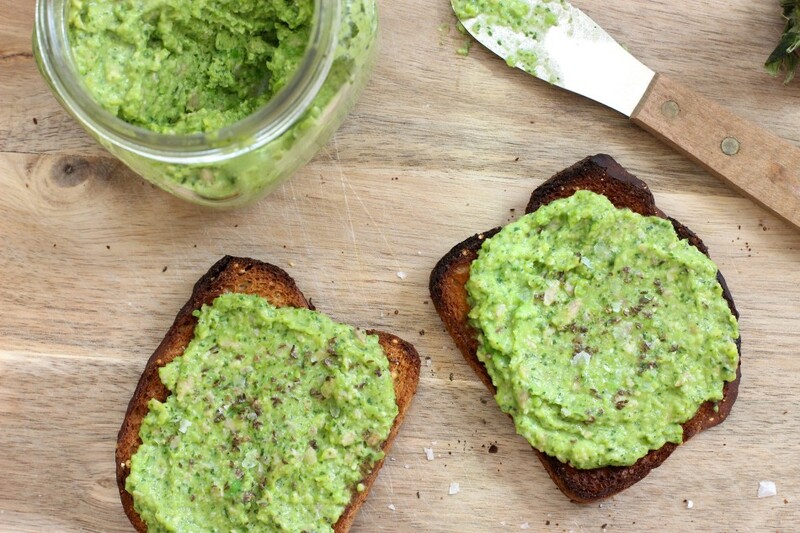 It’s versatile enough to make for breakfast, lunch or dinner and I think my avocado is a little jealous. Here’s the best part: no shelling peas (!). Although it’s the season for fresh peas, trimming and shelling pounds of peas is, quite honestly, time-consuming and something I don’t want to do when feeding a family of six, so I do the next best thing – use frozen. No work and frozen at peak the time of harvest without chemicals? Heck yeah. I will keep our fresh peas for school (and non-school) snacking. On a health note: this pesto mash contains a good dose of nutrition, including anti-oxidants (one being a polyphenol called coumestrol, in peas, that have been found to help prevent stomach cancer), protein (peas have protein! ), Vitamin K, Vitamin E, Vitamin C, good fats, fiber, essential fatty acids (specifically linoleic acid from sunflower seeds) and helps to reduce bad cholesterol. Add a little sprinkling of ground chia (added omega 3’s) and Maldon sea salt on top to amp up the flavor even more. Either way, it’s springtime deliciousness you need to try! 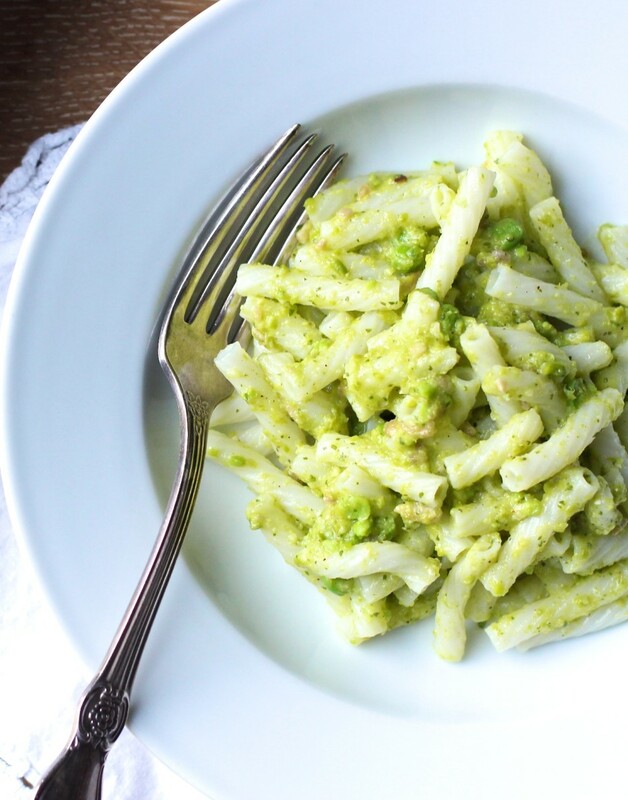 A springtime pesto full of bright flavors that are versatile and nutritious enough to go from breakfast to dinner and ready in 5 minutes! Add all ingredients into a food processor and blend until nearly smooth (or until smooth if you don’t like too much texture from the peas and sunflower seeds). Will stay fresh refrigerated for a week and freezes well. Add to rice, or serve as a dip with raw seasonal vegetables. Also delicious in egg omelets (my husband's favorite), or tossed with roasted asparagus and green beans. 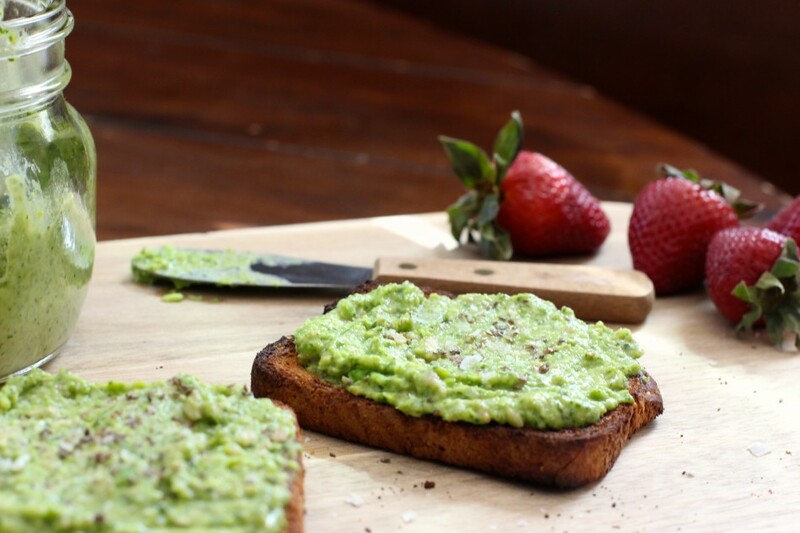 For toast: try broccoli sprouts, fresh slices of radish, or cucumber - anything goes really. A nice creative change up for breakfast but when I read it has garlic my immediate reaction was yuck. Does it really not have any garlic flavor? I really don't like garlic especially for breakfast. Pesto with mint on toast sounds interesting and something I need to try. 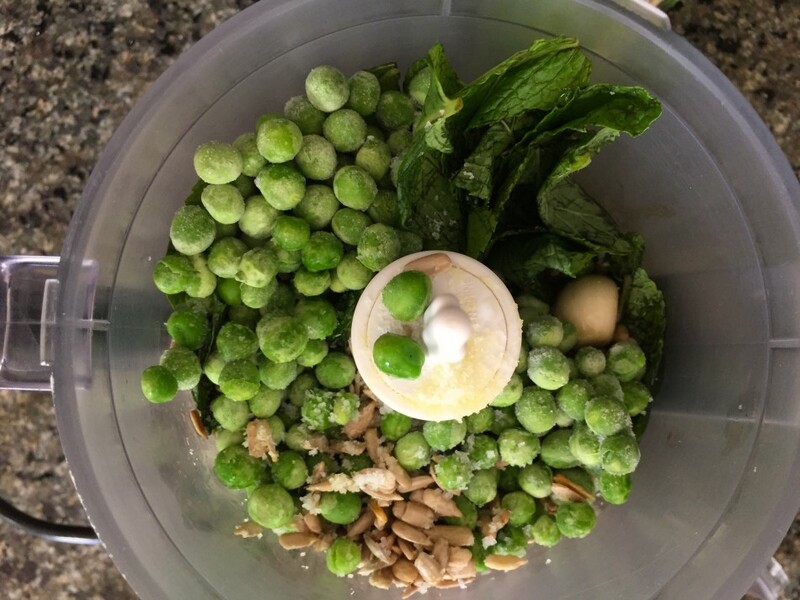 I'm with you on using frozen peas saving time, thanks for sharing! This looks so good and healthy. What kind of pasta do you use? 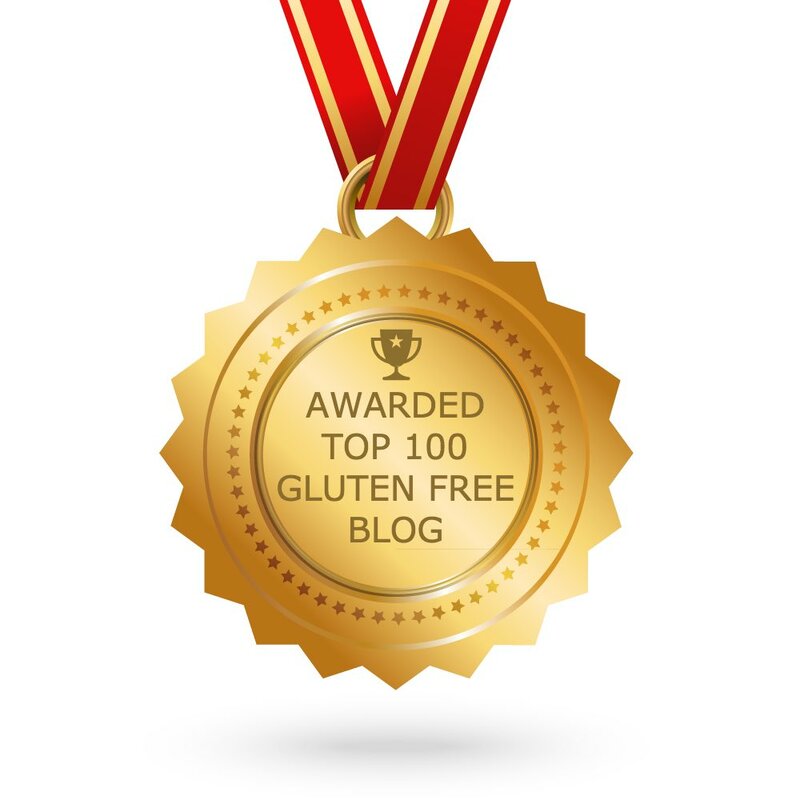 It looks like the real gluten thing. YUM. It is yum! It's quinoa penne pasta by Andean Dream brand. I love it because it doesn't mush up like some other gf brands and doesn't taste like 'gluten free'. Hey Jess, looks geeat but also super bright green! Would mine turn out as bright? Please let me know! It is bright green, like in the photo - not photoshopped! Hope you give it a try, it's really good! Made this today and looooove it! 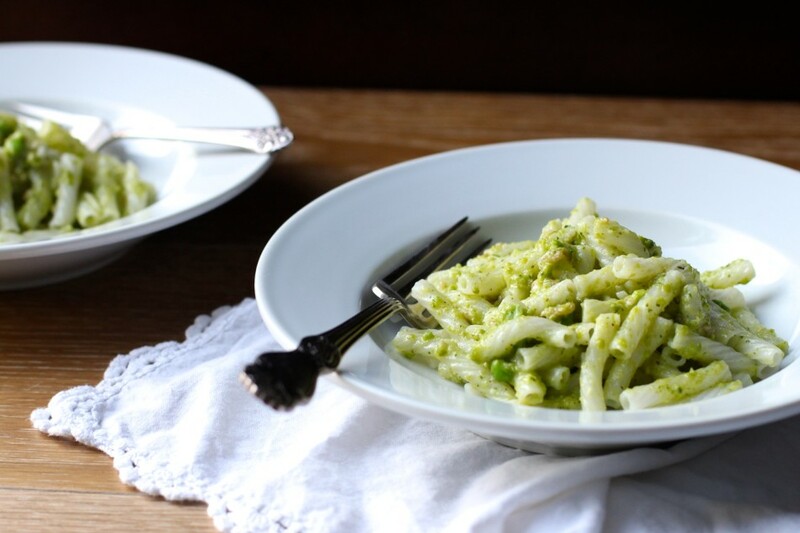 It doesn't taste like any pesto I've ever had, much lighter and creamy. I see why you recommended it for breakfast, it has a texture like avocado mash. Thanks for sharing this creative recipe! Yay! You are so welcome, happy to hear you love it! The combination was a little strange to me at first but it looked so good I made it and wow it is delicious. So yummy on toast, thanks! I love anything with peas so when I came across your recipe on Instagram I had to try it. OMG what a delicious mix of flavors. My new favorite spread on my (also) very well done toast lol! I just finished the pesto sauce with pasta and I can’t believe it’s gluten-free and dairy free. It is so flavorful! I thought I’d never be able to have pesto again. 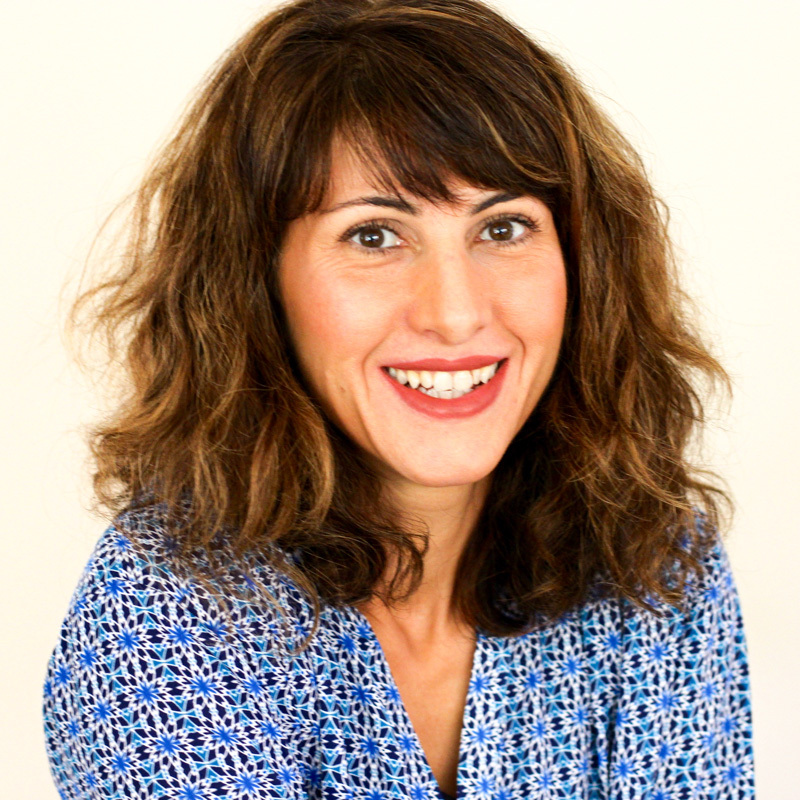 Thank you Jessica for sharing your recipes.